One of the votes cast on the controversial request to put a materials recovery facility on Dials Mill Road on Tuesday night likely will come from Commissioner Jim Luke, whose wife's family has property about a mile from the site. The family connection is not enough to require Luke to recuse himself, according to County Attorney Daniel Haygood. Haygood also said that Planning Commission member Karl Berg, who worked for the Bernard Garrett family in the past, was not in violation of state law on April 15 when he deliberated on and voted to recommend approval of the Garrett’s request for the materials recovery facility. Luke told me that his wife’s and sister’s property is about a mile from the property at 1441 Dials Mill Road that the family of Bernard Garrett is seeking to convert what the state calls a “Recovered Materials Processing Facility” into a “Materials Recovery Facility,” or MRF. His wife’s property actually is owned by the estate of John I. Sims, Luke told me in our telephone conversation on April 23. His wife is Phyliss Sims Luke. County tax records show two pieces of property owned by John I. and Mildred Sims west of the Garrett property being proposed for the MRF. The two pieces of property total 90 acres and are on Sikes Road, which is parallel to and west of Dials Mill Road. A third piece of contiguous property, totaling 15 acres, is owned by Phyllis S. Luke and Judy S. Pemberton. Two pieces of property separate the eastern tip of the John I. and Mildred Sims property from the Bernard Garrett property. The larger is owned by the Mr. Chick Farms Limited Partnership of Gainesville. The smaller tract appears to be a part of the larger. No information on ownership of that smaller tract appears in the electronic tax records. The Garretts will need three votes from the five-member Commission on Tuesday night to obtain the special use permit they are seeking to operate the MRF on the site, currently zoned for agriculture. The Garretts also need approval of a requested hardship variance to allow them to run an estimated 100 trucks per day on Dials Mill Road. That variance request is necessary because Dials Mill Road is currently classified by the county as a “Minor Collector,” while the county’s Unified Development Code states that “Recycling and Materials Recovery Facilities” must be accessed from a road classified as an arterial or major collector road. Board of Commissioners Chairman Melvin Davis only votes in the case of a tie among the four voting members of the Commission. Section 36-67A-2 of Georgia Code requires government officials to disclose in writing any financial interests in zoning decisions. For a conflict to exist, the official must have “a property interest in any real property affected by a rezoning action,” have a “financial interest in any business entity which has a property interest in any real property affected by a rezoning action,” or have “a member of the family having any interest” in the property. "Member of the family" means the spouse, mother, father, brother, sister, son, or daughter of the official. Planning Commission Member Berg, who represents the city of North High Shoals on the Commission, worked for Roll Off Systems, owned by the Bernard Garrett family, until “about a year and a half ago,” son Simon Garrett told me in an email message on April 16. At the April 15 Planning Commission meeting, Berg answered another Commission member’s question about the proposed Garrett facility in a way favorable to the Garretts, made the motion to recommend approval of the special use permit to the BOC, and voted in favor of it. The video below provides a full record of that exchange. When I recounted these actions to Haygood on April 22, he said they “wouldn’t even come close to anything zoning procedure law would prohibit,” referring me to the Georgia Code I cited above. The Commission voted 9-2 to recommend that the BOC grant the Garretts the special use permit. That permit is needed so the Garretts can seek a state permit to operate the facility. County Planning Director B.R. White and Planner Brad Callender told me on Friday they are expecting a large turnout at the meeting on Tuesday, based on the number of calls and inquiries they have received on the application. County Clerk Jane Greathouse announced on Friday afternoon that the meeting will be held in Courtroom 1 on the third floor of the courthouse, rather than in the meeting room of the Commission on the second floor. Chairman Davis sets firm restrictions on the amount of time given to proponents and opponents of zoning issues, unlike how Planning Commission Chairman Dan Arnold ran the April 15 meeting. The BOC meeting is scheduled to start at 7 p.m., and the hearings on the two Garrett requests are scheduled to come under agenda item 8 (Zoning Matters) on a 15-item agenda. 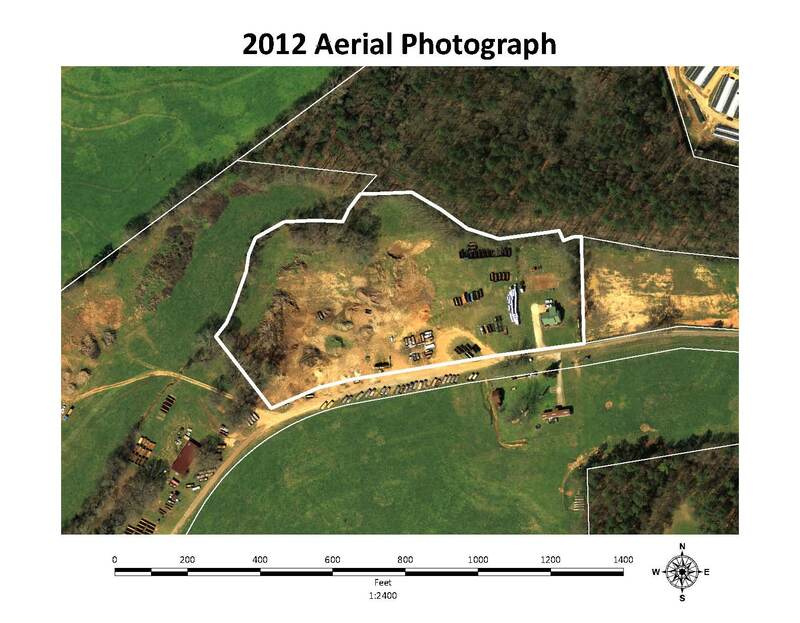 Before turning to the two Garrett requests, the BOC is scheduled to take up a hardship variance request from Mark and Heather Christenson to subdivide 70 acres located on the south side of Hebron Church Road and the west side of Dillard Road. The property is on an unpaved road, requiring the hardship variance.